Towers One offers luxurious oceanfront living and is perfect for a vacation home or investment property. Postcard-worthy views await from the private balconies here, while a wealth of amenities create life of leisure that will be the envy of your friends and family. Enjoy the beauty of our no-drive beach and the convenience to excellent fishing and boating opportunities in Ponce Inlet. In the Towers 1 you have found paradise. Call us today for a showing of one these excellent condo properties in the Daytona Beach area. 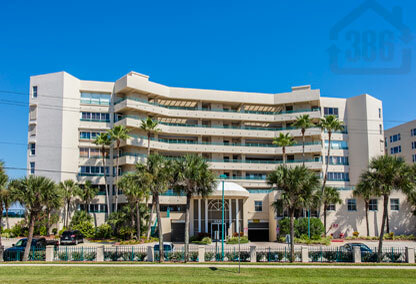 If you are looking for a Florida condominium for retirement or a second home, this condo should be considered. Multiple pools and plenty of parking make it a great choice for family gatherings, weekend celebrations, and national holiday picnics. The location is prime for evening events too. Ponce Inlet offers many options for fun in the evening. You can walk on the peaceful beach, stroll down to Ponce Inlet Park, stop by the bird santuary, walk out onto the inlet rocks, ocean fish, or choose from many of the riverfront and ocean front restaurant options.